This is how I cleanse. Either way, it helps me emotionally, too. We need reminders that it's OK to enjoy food. All of it. We need reminders that our routines get us stuck in ruts sometimes. We need reminders that the world is out there to make us feel bad about ourselves sometimes. Some people's jobs depend on it. 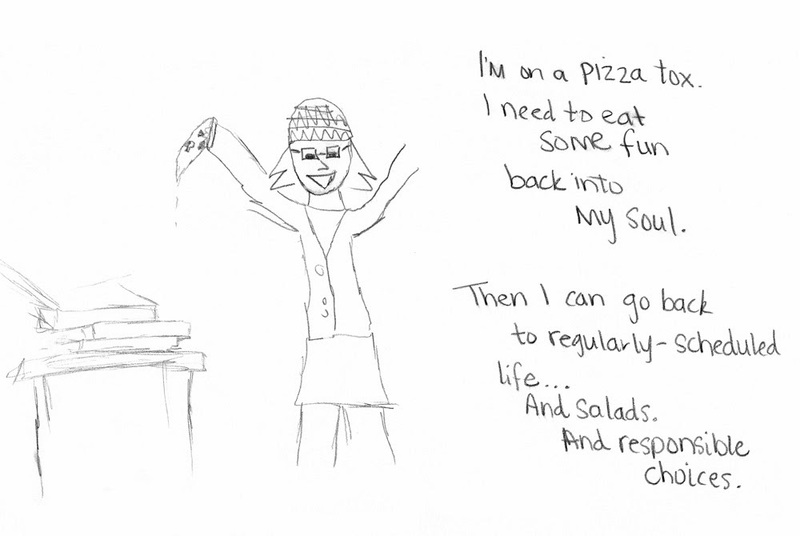 Enjoy a pizza tox sometimes. You'll have plenty of time to be a responsible adult later.